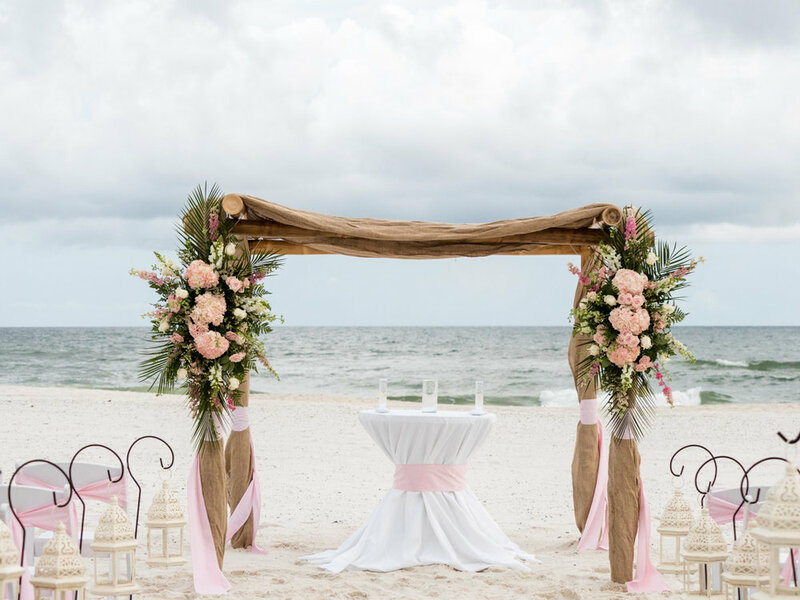 Gulf Shores and Orange Beach Wedding and Reception Packages in 4 Easy Steps. You're just 4 Easy Steps from the Beach Wedding of Your Dreams! 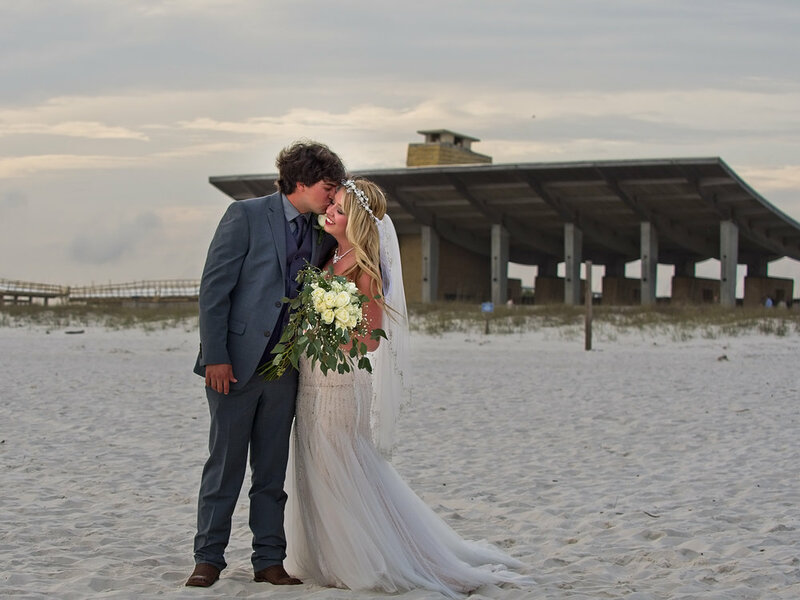 Start Planning Your Alabama gulf coast Beach Wedding Today. Check Your Date and Choose Your Beach Wedding Package. What is Your Dream Beach Wedding and Reception? A Complete Beach House Wedding in Gulf Shores? A Wedding and Reception at the Gulf State Park Beach Pavilion is Always Fantastic! How About an Orange Beach Wedding and Reception Overlooking the Harbour? Our Beach Wedding Packages Offer Something for Every Couple. Our Receptions are Catered exclusively bi Fin & Fork. Each Day, Chef Matt Shipp & His Wife Regina Prepare Each Dish In a True "From Scratch Kitchen". Chef Matt Shipp is a Graduate of The Culinary Institute of America, The Most Respected Culinary School in The Country. Chef Matt has Cooked Alongside Famous Chefs Bobby Flay, Jacques Pepin, Andrea Apuzzo, Filippo Milone, and many Others. He also Appeared on The Food Network Special Episode Food Nation. When You Pair Matt Shipp’s Exquisite Southern Cuisine, The Area's Leading Wedding Planners, Along With The Top Wedding Venues in Gulf Shores and Orange Beach, You Get a Dream Come True. You've Picked a Venue and Date? Check! You've Chosen A Reception Menu? Check! Next You Choose Your Colors and Flowers and Cakes, Oh My! These are Just a Few of the Many Details You Will Deciding On. Not to Worry, Our Professional Wedding Planner Will Guide You Through Each Step of Your Beach Wedding. 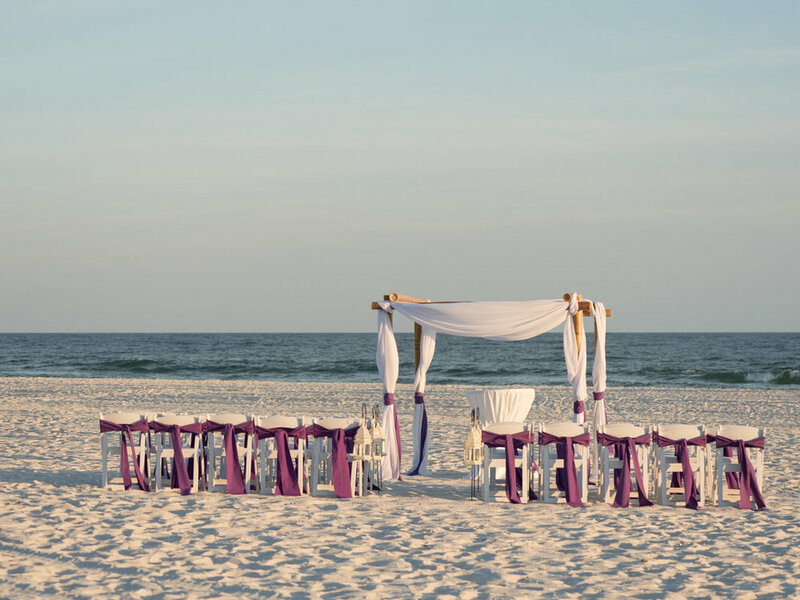 You Have Planned the Perfect Beach Wedding. You Know It's Going to Unforgettable. But How Do You Capture Your Day? How Much Time Will You Need? What Time is Sunset? Do You Want Simple Ceremony and Reception or Full Day Coverage? Are You Wondering About Getting-Ready and First Looks? Wasn't this Suppose to Be Easy? Again, No Worries! At Sand Dollar Beach Weddings You Work Directly With Our Professional Photographer to Plan the Coverage and Timeline that Best Fits Your Needs.